What is perhaps most surprising of all – at least to those brought up with a Western European education – is that the Vikings (possibly even skiing Vikings) were working their way up and down the river systems of Russia and Ukraine more than a thousand years ago, at the same time that their kinsmen were raiding the coastlines of England, Ireland and France. Objects now on loan to the British Museum for the BP exhibition Vikings: life and legend indicate the extent of Scandinavian settlement from the Baltic to the Black Sea, and the far-flung contacts established by the eastern trading network, including glittering hoards of silver coins and jewellery from Gnezdovo and Lyuboyezha in Russia. 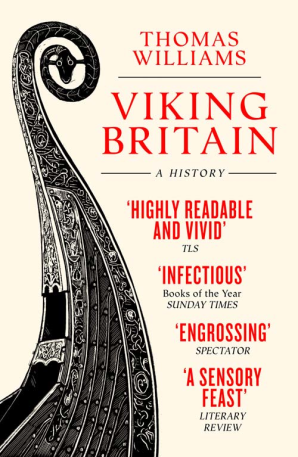 The last time the British Museum put on an exhibition about the Vikings was in 1980, and at that time the cold war meant there was little academic contact between east and west. It was simply impossible to secure loans from museums on the other side of the iron curtain, and many new discoveries were never reported in the west. This was compounded by the official Soviet policy on the origins of the Slavic-speaking countries of Russia, Ukraine and Belarus that minimised the role of Germanic-speaking Scandinavians in the development of urban life in those nations. Times have changed, however, and the role of the Vikings – particularly those from Sweden – is increasingly recognised as an important one in the development of a new culture in Eastern Europe, a people known in the Byzantine Empire and Islamic world as the Rūs. Vast quantities of Islamic silver travelled up the rivers of Russian and Ukraine in exchange for amber, slaves and furs, leaving a trace in Viking-Age silver hoards found far from their eastern origins. It wasn’t just objects that travelled the river routes. The exhibition will also display objects from the graves of men and women who died in Russia and Ukraine and who chose to identify with a Scandinavian heritage through the style of their clothing and the decoration on their weapons. Discoveries of amulets depicting small figures suggest that some even brought their gods with them to new lands. Perhaps Sochi 2014 wasn’t the first time that Ullr had travelled to the Black Sea coast.